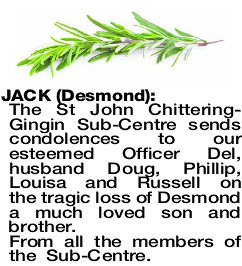 Deepest sympathy you all. Find love and solace as you draw together at this tragic time. 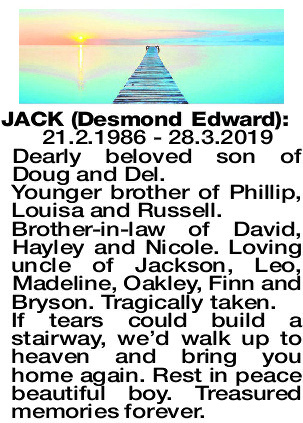 21.2.1986 - 28.3.2019 Dearly beloved son of Doug and Del. Younger brother of Phillip, Louisa and Russell. 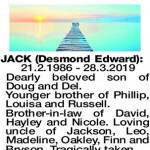 Brother-in-law of David, Hayley and Nicole. Loving uncle of Jackson, Leo, Madeline, Oakley, Finn and Bryson. Tragically taken. If tears could build a stairway, we'd walk up to heaven and bring you home again. Rest in peace beautiful boy. Treasured memories forever. 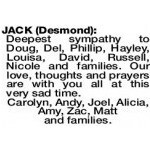 Deepest sympathy to Doug, Del, Phillip, Hayley, Louisa, David, Russell, Nicole and families. 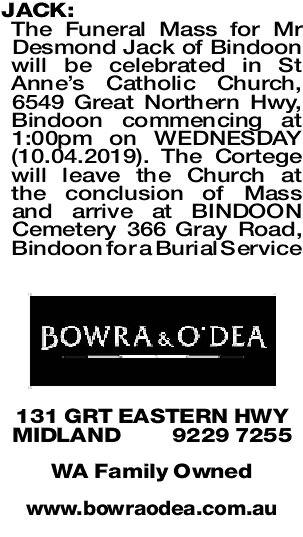 Our love, thoughts and prayers are with you all at this very sad time. Carolyn, Andy, Joel, Alicia, Amy, Zac, Matt and families. 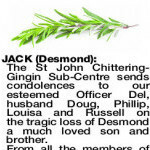 The St John Chittering- Gingin Sub-Centre sends condolences to our esteemed Officer Del, husband Doug, Phillip, Louisa and Russell on the tragic loss of Desmond a much loved son and brother. From all the members of the Sub-Centre.